This really resonated with me, not because of the childhood issue, but because of how both the Little House books and Ann’s forthcoming biography are grounded in a sense of place. I loved how Ann described the first three chapters of her book, in which Esther wakes up in three very different places. Place looms large in my books, all of which focus on the Philippine Islands, a place I have never been. So I have to work extra hard to convey that sense of place. 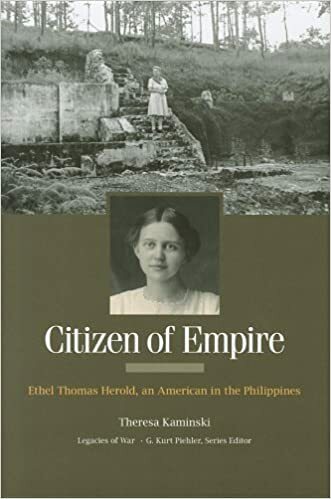 The most thrilling document I found while researching my second book, Citizen of Empire, was a detailed map of the town of Baguio, where Ethel Thomas Herold lived with her husband and children, which marked the locations of the homes of the prominent American families. Great for geographically grounding the story, great evidence of the nature of U.S. imperialism. I’m also fascinated by the feeling that is associated with a certain place, especially if that place is considered home. Ethel Herold was an American woman, but for most of her adult life she considered the Philippines home. 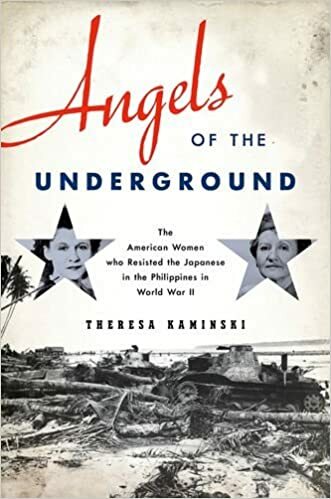 Then, on a tumultuous day in December 1941, Japanese troops marched into Ethel’s home town of Baguio, occupied it, and took the Americans living there–some 500 men, women, and children–prisoners. I kept trying to imagine what it was like for this middle-aged woman from Wisconsin to watch enemy soldiers march into her town, how frightened she must have been when a small contingent of them burst into her home one evening. Ethel kept a diary and she wrote her autobiography late in life, so I had solid primary sources to build the book around. 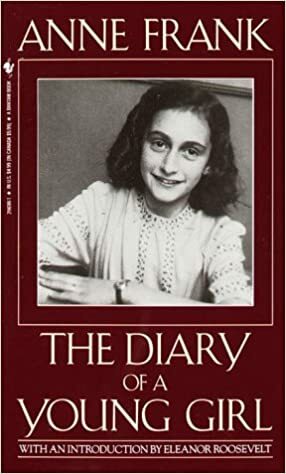 But I drew a lot of inspiration from Anne Frank’s diary, which I first read in 8th grade English class. These two women were a world apart in terms of geography and age. Anne was confined first to a hiding place, then was hauled off to a concentration camp where she died, a victim of the Holocaust. How she reacted to these changing circumstances was never far from my mind when I wrote about Ethel. All of these feelings came back into play as I researched and wrote Angels of the Underground. The four American women featured in this book also embraced the Philippines as their home. But unlike Ethel Herold, they did not spend the war years imprisoned. Rather, they risked their lives to undermine the Japanese occupation. The women’s actions were rooted in how they viewed their place in the Philippines (much colored by U.S. imperialism); they wanted their home back. I am so looking forward to reading your book, Theresa. Thanks, Kathleen. I’m eagerly awaiting the page proofs, which I think could arrive any time now.